Levin School was first established in 1890. We are a contributing state primary school, which holds the claim to being the first school in Levin, playing a vital role in the history of education in the town, first as Levin School, then as the Levin District High School. There were only three other schools with larger rolls in the entire country. When Horowhenua College opened in 1940, the school was no longer called Levin District High School, but reverted to its original title of Levin School. It was first situated in Queen Street until 1903, when a new six–roomed school was opened in Oxford Street (present day site of the Adventure Park). In 1996 it was relocated to its present location of 67 Tiro Tiro Road in Levin. The school and district attributes its history to the relationship between the Ngati Raukawa and Muaupoko people. 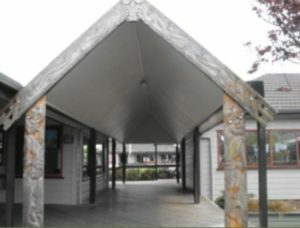 Both iwi have influenced and contributed to the development of the school over time. Levin School stresses the importance of identity, language and culture and takes pride in the multicultural nature of the school population. The school strives to make people culturally aware so that the children, staff and parents of the school work together to create the best possible learning environment for our students. We have an environment which is well kept, well maintained and well resourced. We aim to provide a warm and nurturing culture, with full inclusive practices.